As we celebrate the world TB day this 24th march, every 2 people in three minutes die of TB in India. Tuberculosis is a centuries old disease that is still going strong. 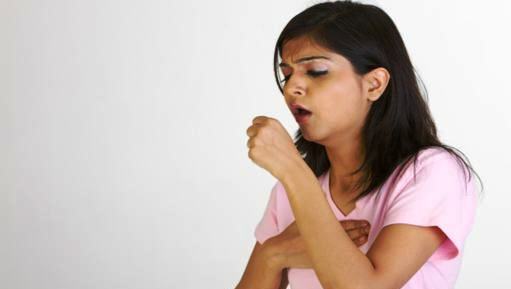 According to the World Health Organisation (WHO), there were three million cases of tuberculosis (TB) in India in 2010 with more new cases every year than in any other country. Nearly 70% of the patients are between 15 and 54 years and there were 3,30,000 death every year due to TB. Moreover there are more than a million missing patients in India. These numbers are horrifying especially when TB death is preventable. One out of every three people alive today carries the germ that causes the illness. India is under a new global health hazard. 2012, India’s golden jubilee year of TB control, the World Health Organization (WHO) named India the worst performer among developing nations, with 17 per cent of the global population carrying 26 per cent of the global TB burden. But, an illness so lethal has received very less attention, limited media coverage and less international donor funding for its control. The prima facia of TB is very different from what it actually is. The numbers indeed are petrifying but so are the stories behind these numbers. TB is not only a disease that causes loss of life and health but along with this there are several social, political and economical factors related to the disease that needs unfolding. It is significant to shed light on, what governs the morbidity of this deadly disease in our country. The three large macro factors that govern the morbidity of the TB in India are governance, poverty and culture. These three factors are interwoven and inseparable from each other and lead to various micro factors such as unemployment, migration, stress, low immunity, poor access to nutrition, unhygienic living condition and sanitation, poor health care facility. Moreover it compromises immune system due to stress resulting in illness and malnutrition, Lack of awareness , school dropout, child labour, indebtness , gender discrimination, stigma and taboo. Poor governance in the country has lead to policy formation that suffers from voids and poor implementation. National Tuberculosis Control Programme (RNTCP) 1997, has no standard detecting and treatment regime for TB in India, which leaves many undetected or wrongly detected. This has lead to incorrect prescriptions, development of drug resistant TB and further spread of the disease. Also, RNTCP’s sputum detection method does not detect extra-pulmonary TB. Moreover, RNTCP suffers from lack of funds, its budget being only $200 million. Treating One TB patient costs Rs 500 for six to eight months and for MDR-TB patient is Rs 1,50,000 over 24-28 months. This means a redesigned RNTCP deserves at least $1 billion. However there are 12,000 TB centres and nearly 4,00,000 workers, but the centres are far off from the residence of the patients and hence for the patients to visit the centres, they have to take their day off. Majority of the population that suffers from TB is from lower income group, who work in unorganized sector on daily wages, hence it is very difficult for the patients to visit centres on the cost of their one day wage. The TB programme does not actively foster other, non-technical kind of innovations, such as in service delivery or organisation or strategy. Furthermore, staff is so overburdened and primarily focused on reaching targets that they often do not have the freedom and flexibility to improvise, improve and try out new ideas. Next to increasing drug resistance, the cur­rent public TB control efforts in India are challenged by increasing co-infection with HIV (CTD 2007a, 2009), an increasing migratory population and urbanisation, an unregulated private medical sec­tor, as also by social stigma, lack of awareness and the challenges of integration with other health programmes. The main diagnostic test, sputum microscopy, is 130 years old and notoriously inadequate. Fur­thermore, there has been no new drug since the discovery of the main drug Rifampicin in 1963 and concerns about increasing over­use and drug resistance are rising. Lastly, the vaccine currently used, Bacillus Calmette-Guérin (BCG), is ineffective for adult TB and only works for certain forms of paediatric TB. The governance is also responsible for high degree of unemployment in the country, it has pushed many families into poverty. Poverty is one of the macro causes of TB. The disease and its treatment cannot be isolated from the prevalence of abject poverty and the socio-cultural norms that TB patients live by. TB is more prevalent among low-income groups who live in congested, unhygienic sur­roundings. They suffer from stress, malnourishment and low immunity, which is an invite for TB. Further, its treatment leads to an interruption in education and/or the earning of a livelihood. According to the TB India 2002: rntcp Status Report, published by the health ministry, 3,00,000 children leave school every year to look after parents who contract TB. Moreover, due to lack of employment people migrate in search of job opportunities, where they are forced to live in slums, congested surroundings. This also hinders and most of the time breaks the treatment process because DOTS is offered only to those who show proof of residence and thus the stability required to continue treat­ment for at least six months. This requirement has adversely affected mi­grant labourers who contract TB and are in dire need of treatment. All the above mentioned problems have their answer in political will. India lacks the political will to eradicate the disease. This lack of will, has its roots in ‘target group’ that has to be addressed. The low income group of the country have hardly been heard. Their voices have been suppressed. The programme has nobody to answer to and be accountable for. The elite powerful groups of the country hardly have time to overlook the GDP and economic growth and focus on TB. To eradicate TB political will is of prime importance. It is imperative to understand the stigma and taboo that comes as a baggage with TB. It generally leads to social boycott and discrimination. Public sector ignores these cultural aspects of TB treatment and its aspect of discretion hence the patients drift to private sector which exploits them. 60% of TB patients initially seek treatment from the non-governmental sector, including private practitioners, where diagnosis is often inadequate. Furthermore, poor prescribing practices in the private medical sector where inade­quate, insufficient or non-standardised treatment regimes are common are creating fail­ure cases and are breeding drug resistance. The poor often end up indebted when searching for care in the private sector and following an unsuccessful treatment regime or shopping around for the right treatment. These patients then access the public sector in an advanced stage of the disease: indebted, demotivated, frustrated and seriously ill. They spread the disease further and risk developing drug resistance. Due to gender discrimination in our country, the plight of women patients is particularly miserable, with nearly 1,00,000 of them forced to leave home. The social costs of this translate into malnutrition and even death of the children they are forced to leave behind. Women are also generally more vulnerable to disease and infection in their repro­ductive years (15 to 49 years) and at greater risk of developing TB (after infection) than men of the same age. TB is a social problem as much as it is a clinical problem; the ground level realities for innovation are very complicated. The battle against tuberculosis cannot be won with medicines alone. The approach has to be curative as well as preventive. Only one method will not yield to result as witnessed in past. According to the WHO’s 2008 report, Global Tuberculosis Control, its treatment programmes have failed to reduce the incidence and transmission of TB. It spread through the air we breathe. Microscopic droplets from a patient cough travel trough the atmosphere and can be inhaled by anyone in the vicinity. A critical method of TB control, practised in countries with public health infrastructure, is to detect and treat infected children so that the latent bacilli are killed and children are removed from the infected pool. They will not develop pulmonary TB as adults. This move is feasible in India, but requires a redesigned TB control strategy. KAP (Knowledge Attitude and Practice) is the only mechanism to change the wrong habit through health education. Creating awareness on housing, sanitation and health aspects such as malnutrition. And addressing the issue of the Great Indian Spit by any means would lead to a reduction in the incidence of TB and then it becomes easier to control the problem. Spit is the main reason for harbouring the largest number of TB patients, almost 1/3 of the total TB patients in the world, in India. The reason there was, more preventive measures rather than curative. Preventing infection is a key to disease control. DOTS saves lives from TB mortality, but has failed to control TB They focused on housing, sanitation awareness and health aspects such as malnutrition, illness etc. DOTS strategy is essentially a curative medical approach to treat tuberculosis. However, prevention based on curative medical treatments has never eradicated any disease. Only vaccine-based approaches have achieved such success, as in the case of small pox. However, vaccination with BCG provides variable protection from serious disease and is not considered a mainline strategy for the prevention of TB. The use of curative approaches based on routine health services to prevent diseases has never had a significant impact on prevention. Creating awareness is most important aspect of preventive method. This can be done effectively by training ASHA workers in rural India and parallel position workers in urban areas. Along with ASHA workers, Aganwadi workers can create be of asset to the state. Both these workers, together, can conduct regular awareness sessions, detection camps and distribution of free medicine. Moreover these workers will have more outreach and impact duet to their already built rapport and trust within the community.